Walking into the gym for the first time at the age of 16 years old I was confronted with a vast array of equipment that I had no idea how to use. Armed with a sports drink and hand towel I courageously ventured into unknown territory. The Power Tower is a multi-functional tower that manipulates your bodyweight in order to challenge different muscle groups across numerous joints. With its many handles and pads, you can perform a vast array of upper, lower and full body exercises. This versatility makes it simple to use and create any Power Tower Workout! Getting to grips with the Power Tower (literally), doesn’t take long and you find that it is one of the most adaptable, practical and beneficial pieces of kit you can find! For a detailed review on the Power Tower and its effectiveness and functionality, check out the following article on the Power Tower 101. The Power Tower workout will last approximately 20 minutes with 4 exercises in total. 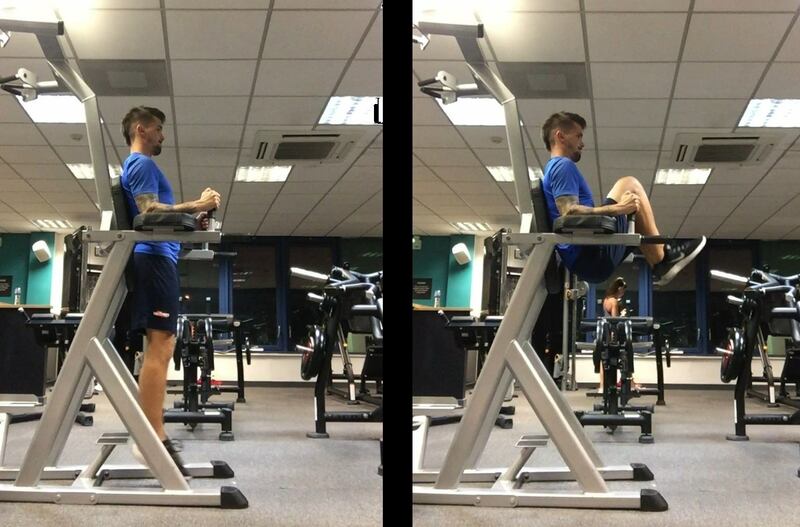 The aim is to complete 3 sets of 10 reps for each exercise - ensuring to take a 1 minute rest between sets. If you find that completing 10 reps per exercise is too challenging, either aim to do as many reps as you possibly can or use a regressed version (which you will find in the below section). Likewise if you find any of the exercises to be too simple then aim for a higher rep count or attempt the progressed version. Get lower back in firm contact with the back support- Dig elbows and forearms into the pads- Step off and keep the core tight to support body weight and keep stable. 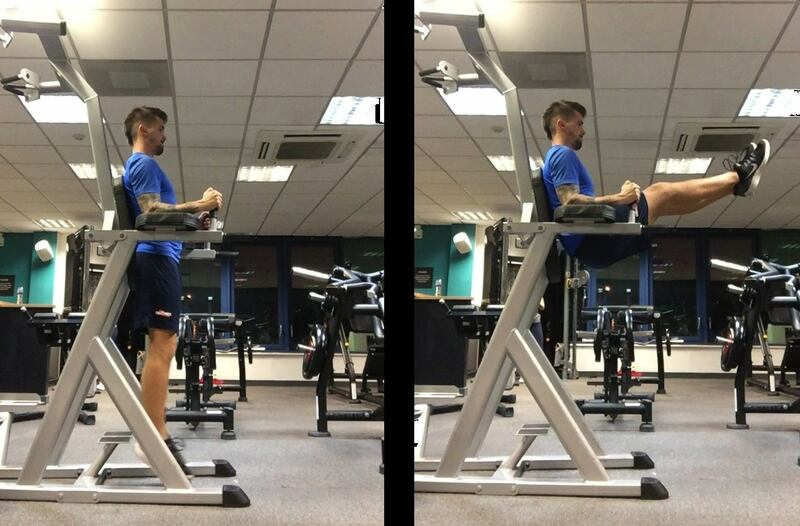 Slowly lower the legs back down until the body is straight- Keep the upper body firm and fixed throughout the movement-To make this more challenging, hang from the pull up bars rather than being in a fixed position. Allowing your body to sink down, during this exercise, is very common. It’s not a huge problem, however, you find that this is happening to a great degree, stop, correct your position and continue. Choose your grip or experiment up with different grips: Wide Overhand / Narrow Underhand / Reverse Grip. Hold on to upper handles and step off keeping the body straight- Pull body up until the upper chest is in line with the handles- Lower back down to the starting position in a controlled manner. Slow down the speed of movement to make it more challenging or use a resistance band to assist you on the way back to simplify. Hook band around the handles. Step with both feet into the resistance band. This exercise targets the lats which is biggest muscle in your back. It spans from the lower back all the way up to just underneath the shoulder and a powerful upper body muscle. Extend at the elbow and hold yourself up straight with knees bent at 90*. Hinge at the elbow dropping down until the elbow joint is at 90* (avoid dropping lower than this). Keep core tight and chest lifted throughout. 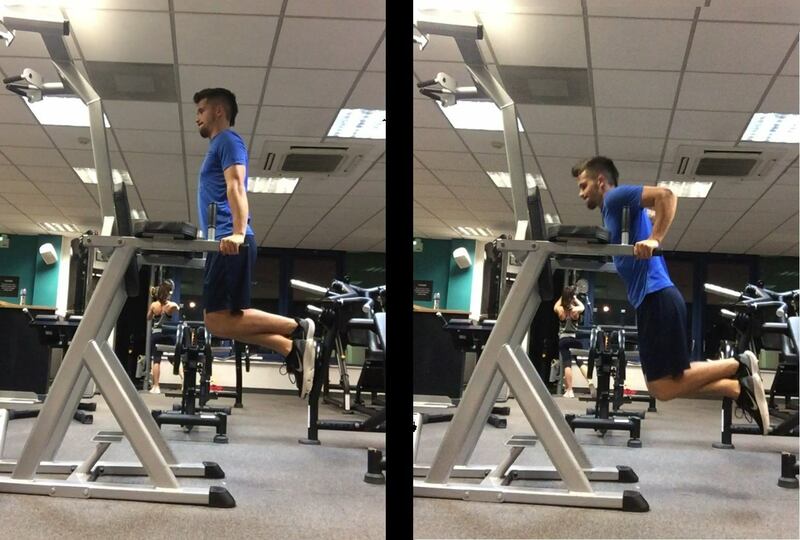 A brilliant exercise that engages so much musculature in the upper body. A wider grip will demand more from the chest muscles (pecs) whereas a narrow grip will be more arms dominant (triceps). Place back foot on the Power Tower. 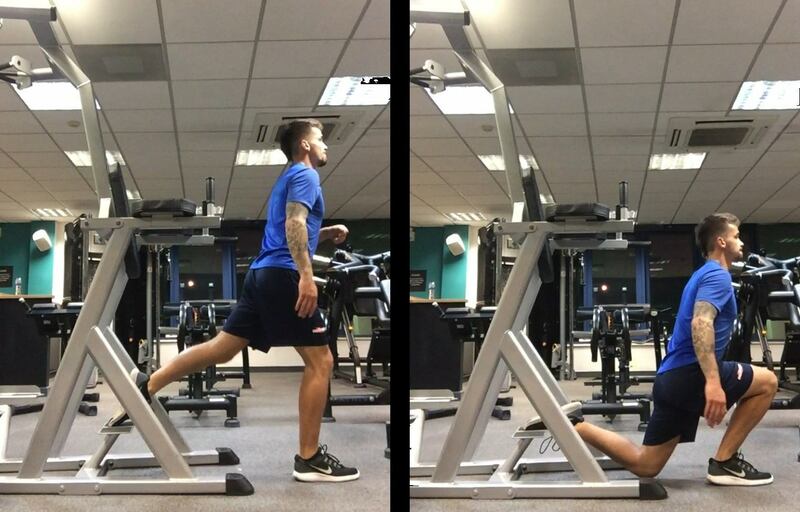 Aim to keep the ankle, knee and hip all in line- Bend the front knee which will bring the back knee down towards the floor- Driving up ensuring the knee does not move inwardly- Keep the chest up and core tight throughout. 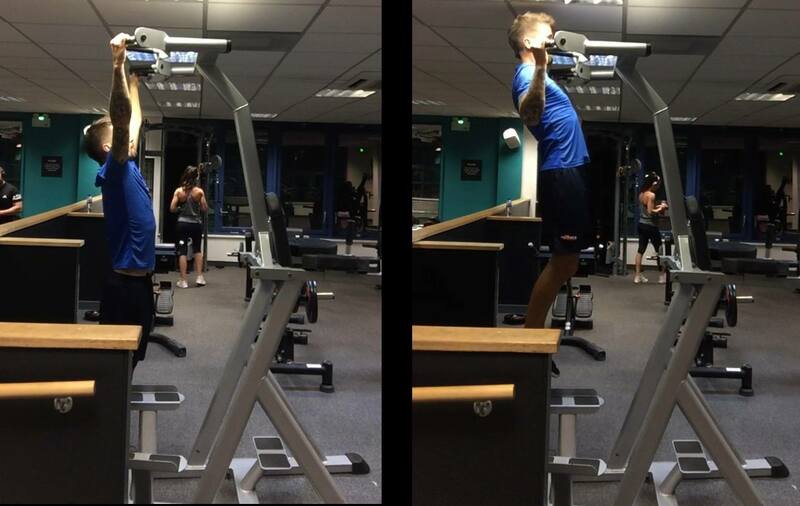 ​Here we use the Power Tower in a slightly unconventional way - however, this is such a brilliant for single leg strength development! The Power Tower is a truly brilliant piece of functional kit which is often underutilized and is an absolute must for any home gym. You now have the knowledge to be able to use the Power Tower safely and effectively. More than that, you now have full body routine to follow and I guarantee, if you stick with the routine, you’ll soon be reaping the benefits!